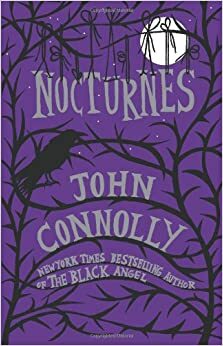 The Literary Gothamite: Review: Nocturnes by John Connolly, pt. 3: "The Underbury Witches," "The Inkpot Monkey" and "The Shifting of the Sands"
Review: Nocturnes by John Connolly, pt. 3: "The Underbury Witches," "The Inkpot Monkey" and "The Shifting of the Sands"
The story, from what I know of the witch trials, seems loosely based on what happened in Salem. I have absolutely no background in English history during the 17th century so I have no idea of the validity of the information he gives us, but for my own understanding we’re going to use Salem. In hindsight, we can pretty much rest assured that the women condemned for witchcraft were not really witches, or in league with the devil, or anything like that. The women (and few men) were persecuted for mostly absurd reasons. For the purpose of this story, Connolly explains that many of the women had “proto-feminist” beliefs, all of the effects of their “craft” affecting men. The trials were analyzed and deemed unusual, but lacked any real proof of the devil. Perhaps the most important information we’re given in the italicized history is this: “Kramer and Sprenger pinpointed the seed of witchcraft in the very nature of the female species. Women were spiritually, intellectually, and emotionally weak, and motivated primarily by carnal lust. These fundamental flaws found their most potent expression in witchery.” That was the assumption. According to our histories, their feministic tendencies did not cause them to join forces with the devil. But what if it had? This is the premise of the story. What if the witches had, actually, been witches? In this case, they’ve reappeared in the present, either by way of reincarnation or possession. Which one, is not really determined. Possession explains the hole in one of the grave markers, but reincarnation explains how one of them could have known to put a hole in the grave marker. I suppose it doesn’t really matter, the point is they’re back. And they’re doing damage. And they’ve somehow managed to find the perfect time to come back. Most of the virulent young men have been drafted into the war. It’s the prime time for strong women. For the period, they’re welcome. This is a different time, after all. Women are expected to demand equality. They’re not, however, expected to violently murder a man, whether or not his name is Mal (appropriate). The main theme of this story seems to be desire as it ties into sacrifice. The author desires to write – to be included – to get rid of his writer’s block. So he spends more money than he can afford to on a kitschy inkpot, relying on the item’s mythic background to solve his problems. When he accidentally cuts himself and the blood (just like in The Ritual of the Bones) causes the Monkey to come to life, he continues to sacrifice his blood in order to complete his masterpiece. Very “Little Shop of Horrors,” no? We know, by the end, that the monkey has taken over the author’s life. He has become the author. The assumption, then, is that the author – who got all he wanted (he wrote his masterpiece, after all) – has become the monkey on the inkpot, waiting to be awakened by the next person who desires to write more than anything else. At least, that’s my assumption. It seems only right. I base this on the episode of the Twilight Zone called “A Game of Pool” in which Jack Klugman plays a man who has beaten everyone else at pool, but never had a chance to beat the greatest player. That self-same player has been dead many years but, through an agreement made with the devil, he comes back to play Klugman’s character. When Klugman beats him, gaining exactly what he had wished, he becomes “the best” and is doomed just as his predecessor had been – to play all men foolish enough to desire a game with him, more than anything else. This one took me a while to understand. I’m still not sure that I understand it, nor do I know whether it means anything at all. What I’ve gleaned from it is a loose sketch of the war between Religion and Modernity, or more specifically, Religion vs. Technology. Religion has been abandoned in this town and when someone tries to reintroduce it, they find themselves seduced by the black sand which represents the technological world. Here, the black sands stand like Greek gods, demanding sacrifice. Technology is always shifting, always changing, moving with the wind, absorbing the impact of everything that comes its way. And so when a Nazi bomb lands in the sand and sinks, it is simply absorbed, sunk into technology’s memory, a stepping stone.